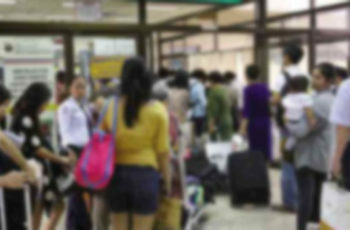 This is the good news for all OVERSEAS FILIPINO WORKERS especially in Hong Kong that the overseas employment certificates may become obsolete in three months. 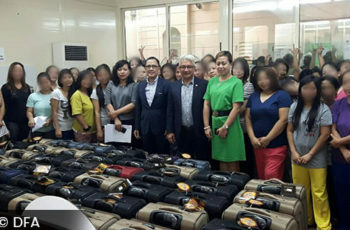 The move was among those reportedly disclosed by Labor Secretary Silvestre Bello during a meeting with militant leaders on May 13, on the sidelines of President Rodrigo Duterte’s lightning visit to Hong Kong. 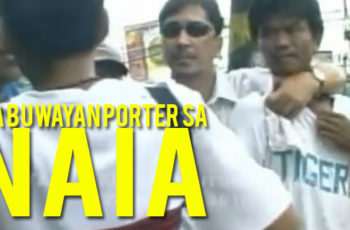 “Papalitan yung OEC ng iDOLE, sabi ni Sec (Bello) mga three months pa iyon,” Labatt De la Torre said. Pending the iDOLE’s rollout, Labatt De la Torre said the OEC registration will continue for OFWs in Hong Kong. 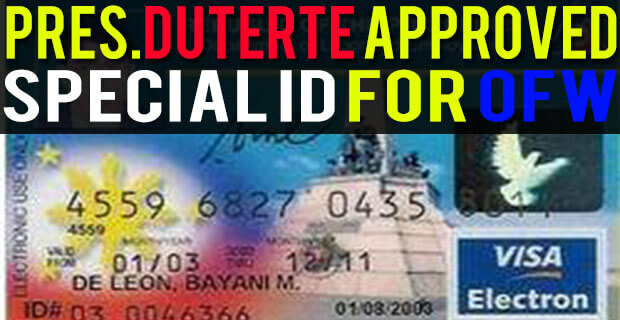 Reports said iDOLE had been “approved with conditions” by President Rodrigo Duterte as early as February this year. Presidential spokesman Ernesto Abella had told Manila media the approval was with conditions because of “certain technicalities”. The abolition of the OEC, for years considered by workers as a seasonal pain in the neck because of the long queues that consumed most of their day-off, was hailed by migrant leaders as one of four key issues they had fought for. 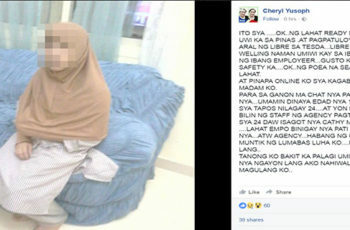 This Sundays many OFW saying that “uuwi ako ng August bakit pa ako kukuha ng OEC e wala ng OEC august nabasa ko sa facebook”. One volunteer in POLO posted in Domestic Workers Corner Hong Kong, OFW CORNER ask help to OFWs in Hong Kong page to post some tips about BMONLINE and OEC for assistance to avoid long queue and waiting too long for walk in. 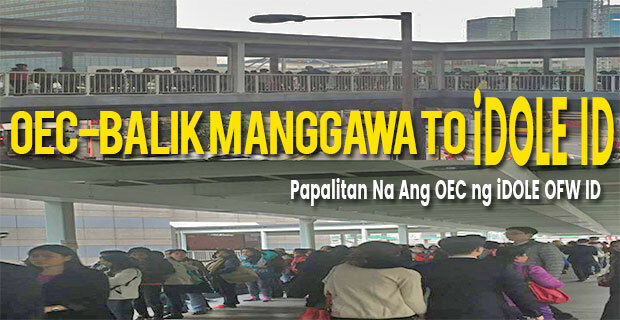 This post shared more than 200 and 400 comments through this we help our fellow OFW to log in and set appointments to get OEC and to avoid wasting time waiting on the bridge every Sunday. 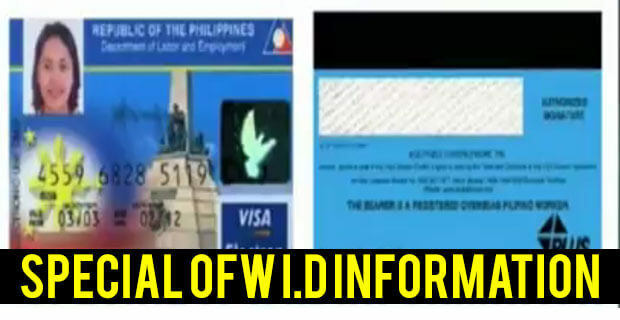 The iDOLE card will have several features geared towards more convenient OFW transactions with the government. 5) Serves as a reloadable Beep card that can be used for MRT or LRT rides. 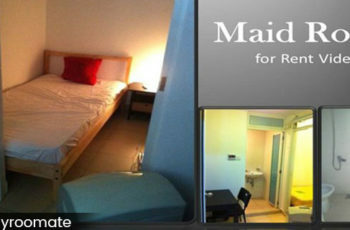 Before Duterte approved the plan, the Department of Labor and Employment had created a one-stop service center for overseas workers. We look forward to this iDOLE card. 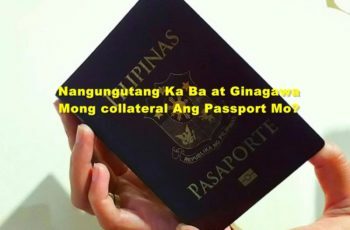 Passport As Collateral – Why It’s A Bad Idea? I have this card since 2002 pa, and was expired on October 2011. I got this as far as I can remember from POEA sa Ortigas pa un. Honestly hindi ko alam kung anu pakinabang nito but somehow I manage to get one. I have never been used this before for any government transaction.